Lucy and I love to hold small workshops, classes or events for the students, during lunches or after school. We believe that learning can be fun. Some of the workshops and events we have shared over the last few years are listed below. 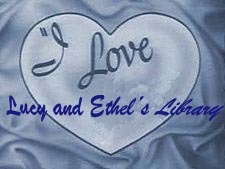 We keep the library open to the rest of the student body during most of our workshops. Sometimes a student is too shy to attend the class or workshop, but will watch intently. This is ok with us because they are getting something from the activity and maybe next time they will join in. All teachers and instructors donate their time. We have no budget for these activities. You can get started by finding out what special skills or talents your staff has, and talking them into sharing those skills or talents with small groups of students. Let us know what you are doing. We are always looking for another great idea. Lucy has given knitting lessons for the past 3 years. There is a fee for yarn and needles or the student can bring their own, and then the class is free. We invite all the faculty that can knit to come and help with the lessons. We have several of our faculty members who can do calligraphy. During lunches, once a week, for a month, we held a mini course in calligraphy. (The teacher who was the instructor had a planning bell during our lunches). There was a fee for this class, $2.00 for a calligraphy pen or free if you brought your own pen. We had faculty and students signing up for this one and about half were boys. A month before the prom one year we held dance lessons during lunches. Our theater teacher had planning during our lunches and came in to do a mini dance lesson on a different dance, once a week for a month. We did the Waltz, the ChaCha, the Rumba, and even a little swing dancing. Believe it or not, one week we had to send the boys to the lunch room to find girls to dance with. Yes, we had more boys than girls. 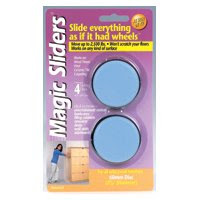 After this month of moving tables we went out and purchased Magic Sliders for our tables, so they would move easier. Another year, the week before spirit week we held a line-dancing class to get ready for the big homecoming dance. Once again we had a teacher who could teach us some line dances. We had her teach "The Hustle" (because Lucy and Ethel danced the hustle when they were in high school) and "The Cha Cha Slide". 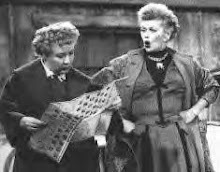 (Lucy and Ethel were clueless to this one, but liked the music.) I brought the CD called "30 Greatest Party Songs Ever" (from Drew's Famous Party Music Series). After the lesson we even had a little fun doing the "Macarena" and the "Chicken Dance". We have a small Thai community in our county. We asked a couple who had owned a Thai Restaurant to come in and teach us how to use Chop Sticks. We had about 16 faculty and students sign up. The fee was $2.00 for chopsticks and the food to practice with. I got the chop sticks from the local Chinese restaurant for .10 each. We also had a student who had lived in Japan for 6 years and an English teacher on hand to help teach. This workshop was great fun. In this workshop we teach students how to tie a necktie. This workshop is free, but we asked the students to bring in a necktie. It turned out most did not bring their own ties. I put up a flier at my church for the men to clean out their closets of their old, out dated ties and donate them to the library. I now have over 60 ties to use for this workshop. We get faculty members and retired men from the community to come in during their lunch to teach. We set up some full-length mirrors, print off a few handouts they can take with them after the lesson. Voila, we have another workshop. We also pass out the ties to the boys who show up to Graduation without a tie. After the first tie your tie workshop we thought we should do one mainly for girls. I wanted to have a "How to Walk in Heels" workshop, but it turned into a good posture workshop. One of our local chiropractors sent us his assistant to talk to the students about good posture, heavy backpacks and other spinal issues. This workshop was free to students. One of our teachers taught a yoga class after school, once a week, for a month. This class was free, but we had some money left over from the chop stick workshop so we brought some yoga mats and had a drawing each week for a yoga mat. Then we turned down the lights, turned on the music, and twisted our bodies into pretzels. We thought this would mainly be a girl attended class, but 50%, who attend were boys. One year we held this workshop the week before exams. We had the same teacher, who taught yoga come in and talk to students about yoga posses they could in their seats, or at a 3 minute stretch break, during exams. Our school has a Public Performance Copyright License for movies. Sometimes we show a movie after school just for fun. Our school runs late buses at 4:50, so our movie must be fairly short. I look for movies that run about an hour and a half. Be careful with the time. I researched the time lenght of Hitchcock's THE BIRDS and it would work in my time schedule. However, I had looked up the time on the VHS tape and then I rented it on DVD. The DVD had added footage that the tape did not have, so the students had to leave before the movie ended. The movie is free and we serve all the popcorn they can eat. We sell drinks and that covers the popcorn cost. We did this around Halloween and the students paid $2.00 for the cheese tasting. We showed about 5 minutes of a video called "The Cheese Nun" about how the mold in cheese is different from region to region. We talked to the students about veined cheeses, then we had a tasting of four different cheeses.